Helmsman<sup></sup> Spar Urethane is a specially formulated protective clear finish for exterior or interior wood that is exposed to sunlight, water, or temperature changes. It contains UV blockers to reduce the sun's graying and fading effects. Helmsman<sup></sup> Spar Urethane forms a protective barrier against rain and moisture and its special oils allow the finish to expand and contract with the wood as seasons and temperatures change. Minwax<sup></sup> Polyshades<sup></sup> combines beautiful wood stain and polyurethane in one simple step. Minwax<sup></sup> Polyshades<sup></sup> provides rich wood colour and long lasting protection while enhancing the wood grain. Polyshades<sup></sup> will reduce finishing time compared with staining with one product and protecting with another. 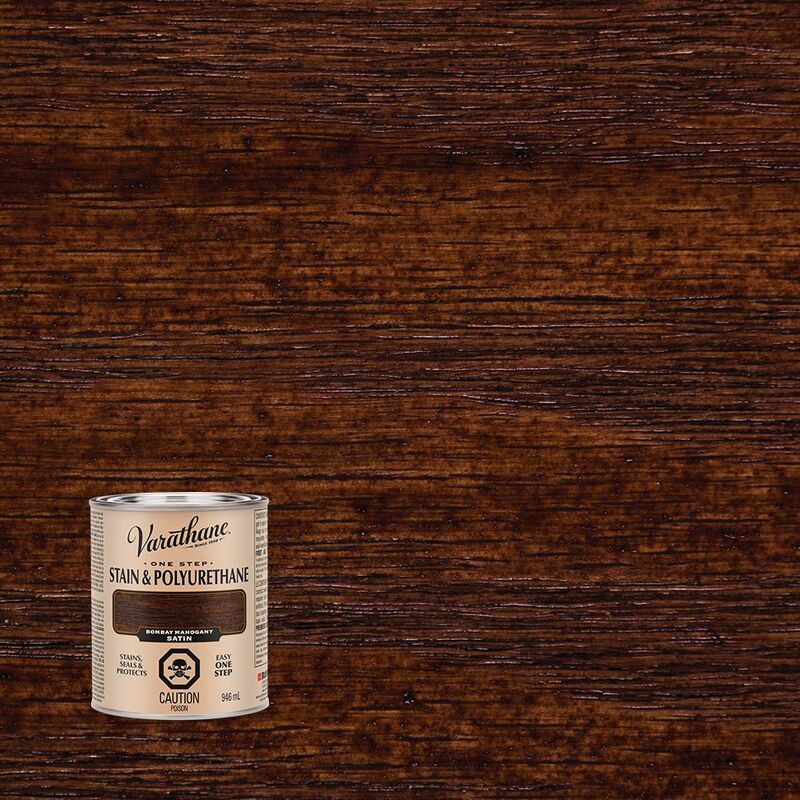 Varathane Stain & Polyurethane Gloss Bombay Mahogany 946ml In one easy step, you can now apply both stain and polyurethane to your wood project using Varathane One-Step Stain & Polyurethane. Premium pigments provide deep, rich colour while Varathane's renowned polyurethane adds a smooth, even protective finish without brush marks.